LOUISVILLE, Ky. (Thursday, March 21, 2019) – No rival has yet made a dent in War of Will‘s leadership of the 3-year-old division in New Orleans this winter, but 10 will make a belated attempt to do so Saturday in the $1 million TwinSpires.com Louisiana Derby (Grade I) at Fair Grounds. The 1 1/8-mile Louisiana Derby is the finale on a 13-race program and is the first Road to the Kentucky Derby series race that will award qualifying points of 100-50-20-10 to the top four finishers. War of Will is already safely in the Churchill Downs classic having accumulated 60 points by winning the Lecomte (GIII) and Risen Star (GII) in comfortable fashion, but a third decisive win Saturday could put him in the discussion as a potential favorite on the first Saturday in May, which has not been a bad position to be in of late with every public choice having won the past six years. Despite being far back early in the field of 14 in the Risen Star, Country House advanced to second by mid-stretch and held that position at the wire, a positive stakes debut all around. Trainer Bill Mott has been an infrequent Kentucky Derby participant during his long career, but Country House could be one of potentially three runners for him come May 4. Todd Pletcher has won this race more times (four) than any other trainer, and will rely on Spinoff to provide a fifth victory. The lightly-raced colt has won two of three, most recently an allowance at Tampa Bay Downs by nearly a dozen lengths. In his lone prior stakes try, he finished third to Call Paul in the Saratoga Special (GII) last August. Sueno earned his lone stakes win on Tapeta at Golden Gate Fields, but has run well in two dirt tries since, finishing second in both the Sham (GIII) and Southwest (GIII). In the latter, he out-finished Long Range Toddy, who came back to defeat Improbable in the first division of last Saturday’s Rebel (GII). MUCHO GUSTO SQUARES OFF AGAINST ANOTHERTWISTAFATE IN SUNLAND DERBY – Robert B. Lewis (Grade III) winnerMucho Gusto will faceoff against runaway El Camino Real Derby hero Anothertwistafate in Sunday’s $800,000 Sunland Derby (Grade III) – the premiere race at the Hobbs, N.M. track’s Thoroughbred meeting. Mucho Gusto, trained by Hall of Famer Bob Baffert defeated four rivals by 4 ¾ lengths in the Robert B. Lewis at Santa Anita. The son of Mucho Macho Man only has one blemish on his four-race resume – a runner-up effort behind top Kentucky Derby contender Improbable in the Los Alamitos Futurity (GI). The chief competitor to Mucho Gusto is synthetic-track specialist Anothertwistafate who will make only his second-career try on the dirt following three runaway scores at Golden Gate Fields in northern California. Trained by Blaine Wright, the speedy Anothertwistafate only try on the dirt was his career debut at Santa Anita where he finished ninth. NBCSN TO BROADCAST LOUISIANA DERBY – With the Kentucky Derby presented by Woodford Reserve (GI) less than 50 days away, NBCSN will present exclusive live coverage of the $1 million TwinSpires.com Louisiana Derby this Saturday at 5:30 p.m. EDT from Fair Grounds Race Course in New Orleans. 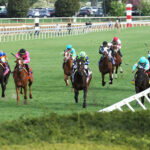 Exactly six weeks ahead of the May 4 running of the 145th Kentucky Derby, the Grade II Louisiana Derby marks the first prep race awarding Kentucky Derby qualifying points on a 100-40-20-10 scale for the top four finishers. War of Will is expected to be the favorite in the 11-horse field. Ahmed Fareed hosts Saturday’s coverage, alongside analysts Jerry Bailey, a Hall of Fame jockey who has twice won the Louisiana Derby, and Randy Moss. NEW ‘ROAD TO THE KENTUCKY DERBY SERIES DEBUTS – NBC Sports, in partnership with Churchill Downs, will debut a new “Road to the Kentucky Derby” series Saturday after the Louisiana Derby coverage concludes, beginning at 6:30 p.m. ET on NBCSN. The first of four 30-minute episodes features country music star Toby Keith, a lifelong racing fan who is now a Thoroughbred breeder and owner, and an interview with Sol Kumin, co-owner of Triple Crown winner Justify. 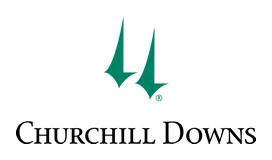 Produced by Churchill Downs, the episodes will provide viewers with an inside look at the extensive preparations for the first leg of the Triple Crown. 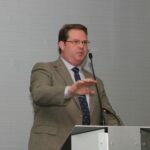 Keith Wetzler, Executive Producer of Broadcast at Churchill Downs, produces the series. WAR OF WILL HOPES TO BECOME FOURTH HORSE IN FIVE YEARS TO SWEEP RISEN STAR, LOUISIANA DERBY DOUBLE – With a victory in Saturday’s Louisiana Derby (Grade II), Gary Barber’s War of Will could become the fourth horse in the last five years to sweep the Risen Star-Louisiana Derby double. War of Will, who is the heavy 6-5 morning line favorite for Saturday’s 1 1/8-mile race, won both the Risen Star (GII) and Lecomte Stakes (GIII) at Fair Grounds. 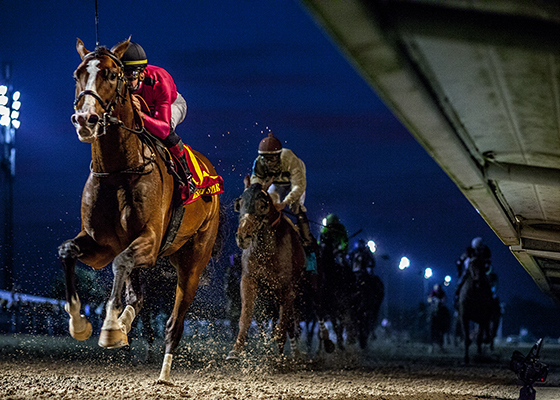 The last horse to sweep the three Road to the Kentucky Derby prep races at Fair Grounds was International Star in 2015.
International Star (2015), Gun Runner (2016) and Girvin (2017) won the Risen Star prior to their Louisiana Derby victory. BETTER WITH AGE – Long Range Toddy won the first division of the Rebel Stakes (GII) on Saturday with 58-year-old jockey Jon Courtaboard. Should Court ride Long Range Toddy in the Kentucky Derby, he’d be the oldest jockey to ever ride in the race. Court, who is represented by 67-year-old agent Steve Krajcir, has ridden in the Kentucky Derby three times and his best finish was eighth aboard Will Take Charge in 2013. Jockey Bobby Baird rode in the 1978 Derby at age 57. The oldest jockey to win the Kentucky Derby was Bill Shoemaker at age 54 when he rode Ferdinand to victory in 1986. ADDITIONAL TRIPLE CROWN NEWS – Training is set to begin Friday at Churchill Downs. The backstretch opened Tuesday and trainersGreg Foley and Dallas Stewart were the first to arrive. · One word to describe Rebel Stakes (Grade II) winner Long Range Toddy’s career is “consistent.” Owned by Arkansas-native Willis Horton, Long Range Toddy sports four victories through seven races with his only off-the-board finish coming in his career debut where he finished fourth. Trained by Hall of Fame conditioner Steve Asmussen, Long Range Toddy has amassed 53.5 points on the Road to the Kentucky Derby and likely stamped himself a spot in the starting gate for the first Saturday in May. · Owner information: Willis Horton, a 78-year-old native of Marshall, Ark., developed D.R. Horton Custom Homes, which became the nation’s largest builder of single-family homes. Horton retired in the early 1990s and began focusing on owning horses with his brother Leon, son Cam and his nephew Terry. Most notably, Horton campaigned Longines Kentucky Oaks winner Lemons Forever and champion 3-year-old Will Take Charge. Horton had two horses run in the Kentucky Derby – Will Take Charge (2013, 9th) and Combatant (2018, 18th). Game Winner and Improbable returned to the races in separate divisions of Saturday’s Rebel (GII) at Oaklawn Park and while both came up a little short for Bob Baffert, supporters still had reason to be encouraged by their runner-up finishes. Seventeen qualifiers have been offered this year and the only two-time winner, War of Will, will seek a third this Saturday in the $1 million TwinSpires.com Louisiana Derby (GII) at Fair Grounds. The Mark Casse-trained colt heads a field of 11 and the 1 1/8-mile race serves as the first of seven major final preps awarding points on a 100-40-20-10 scale to the top four finishers. The winner took a big step forward from a BRIS Speed perspective, earning a 97 figure, and is improving at the right time. Out of anUnbridled’s Song mare, Long Range Toddy possesses the pedigree and appears built for longer distances. Long Range Toddy received only an 89 Speed rating posting an upset win in the Remington Springboard Mile in mid-December. He did a little better when opening the year in the Smarty Jones, garnering a 92 for a neck second, and recorded a 91 for a troubled third in the Feb. 18 Southwest (GIII) at Oaklawn. It was easy to appreciate the push-button acceleration he displayed in the Rebel stretch and Long Range Toddy’s tractability is an asset.